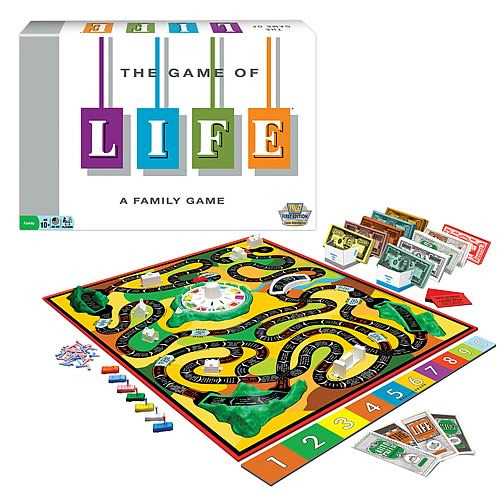 Celebrate the 50th Anniversary of The Game of Life with this wonderful classic edition. Everything you adored about the original 1960 game will be found inside. Good fortune is always around the corner. That's LIFE! For ages 10 and up. Game can have 2 to 6 players. Contains sturdy bi-fold game board with plastic buildings and mountains, money pad, cards, stock and insurance certificates, 8 plastic cars, pink and blue "People" pegs, number board, banker's trays and rules.